Superior Line interactive design UPS with sinewave output and Industry leading voltage regulation. 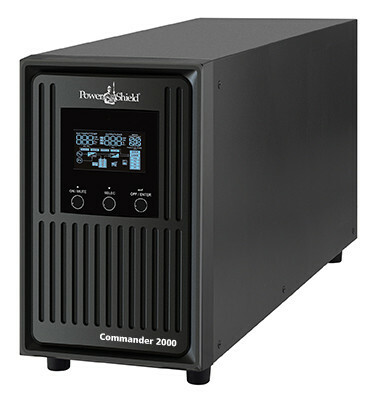 Where other products commonly only regulate output voltage to within 10 or 12%, the Commander Series regulates to within 5%. In-built modem/telephone or LAN protection, informative LCD display that reports load, backup time left, voltage in and out etc. USB interface is standard and Powershield's excellent power monitoring and automatic shutdown software is included. Warranty is two years replacement.